Cypriot purchases include handmade lace, woven curtains and tablecloths, silks, basketwork, pottery, silverware and leather goods. Lefkara lace, known aslefkaritika, is famous throughout the world as one of the products most closely associated with Cypriot workmanship. It is intricately patterned and used for tablecloths and tablemats. Women can be seen working in small workshops in the village of Lefkara after which the lace is named. The village is located on a hill just off the Nicosia-Limassol highway. The Troodos village of Omodos also has a thriving lace industry. Lefkara is also famous for its silverwork; traditionally the men of the village would work with silver while the women produced lace. Silver spoons and forks are a traditional symbol of Cypriot hospitality. Jewellery is an art that has been practised on the island since the Mycenaean Greek period; craftspeople working in contemporary and traditional styles produce some very fine pieces. Filigree silver is a popular gift or souvenir. 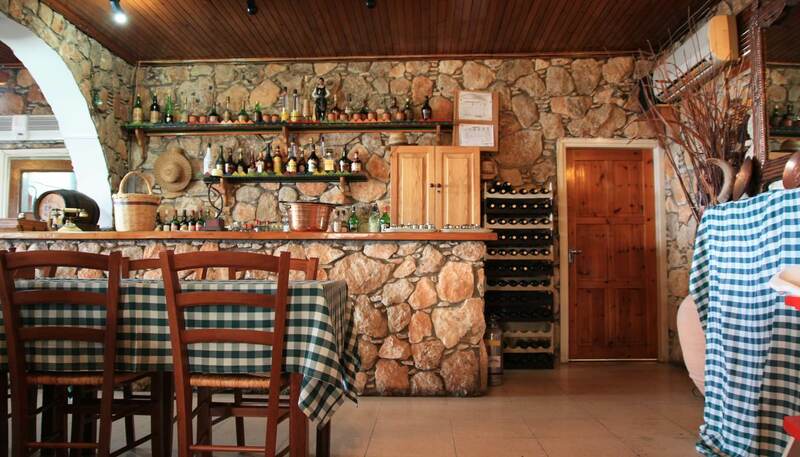 Local wines, including Commandaria, which is one of the oldest wines in the world and produced in the region north of Limassol, as well as Cyprus’s own brandy and its potent Zivania liqueur, also make good purchases. Imported goods sell at competitive prices, including cameras, perfume, porcelain and crystal. In north Cyprus, embroidered tablecloths and cushions with patterns traditional to Turkey are widely available. Throughout the island, monasteries sell icons, which are often painted by the monks themselves. The Monastery of Chrysorrogiatissa in the foothills of the Troodos is one of several that has its own icon studio. In summer (June to August) shops are open 0900-1400 and 1700-2100. In winter opening hours are 0800-1300 and 1430-1800 (until 1900 in spring and autumn). However many larger department stores and supermarkets, and shops in tourist areas, do not close for lunch. Shops are closed Wednesday after 1400 and Saturday after 1500 in the winter, 1700 in the summer, as well as all day Sunday. There is a thriving nighttime scene in the capital Nicosia and the coastal towns and cities of Cyprus. Hundreds of restaurants serving everything from Indian cuisine to Italian, French and Chinese, are available along with wine bars and bars with live entertainment. Theatres offering classical plays, cinemas and nightclubs are all popular with locals as well as visitors. Restaurants and bars line the seafront of places like Larnaca, Paphos and Limassol, and Kyrenia in northern Cyprus. 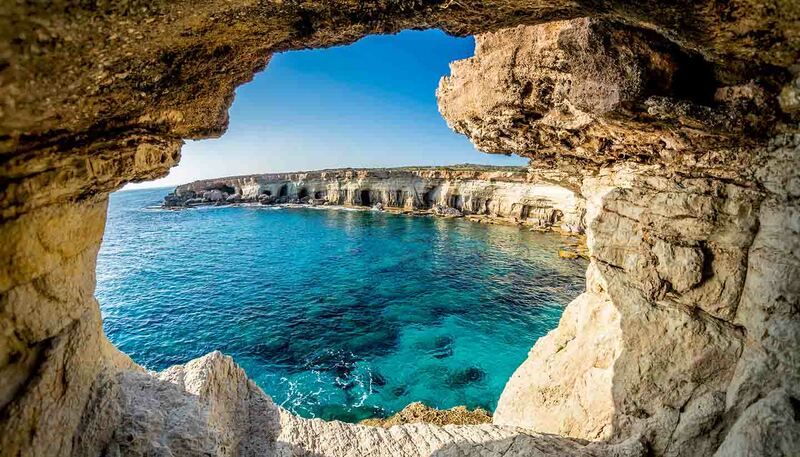 The go-to spot for nightlife in Cyprus is Agia Napa, famous for its beaches, abundance of bars, and clubs for dancing until late. However, the resort is seeing a growing number of restaurants and sophisticated nightspots emerging. Hotels and resorts have their own restaurants, bars and nightspots. Most cities host a regular programme of evening cultural events and festivals. Among the most popular are the Aphrodite operatic festival held in front of the castle in Paphos Harbour and Shakespeare at the Kourion. Casinos are a rarity in the southern Republic of Cyprus, with a couple here or there in Limassol and Larnaca. While online gambling venues are steadily opening throughout the island, true casinos that offer roulette and poker can be found in northern Cyprus. Nicosia is also home to several casinos. Nightlife in the rural villages tends to revolve around the local taverna, but nonetheless can be a lively affair with traditional music and dances.